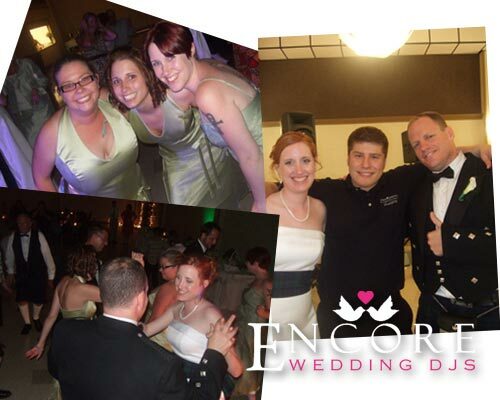 I have been looking forward to Buzz and Jenifer’s wedding reception since they booked with us. They live in Chicago, so our online planning helped them organize all the details for their wedding day. Now they had their reception @ Madison Place Banquet Hall which has been recently renovated to host weddings, and Cranks did the catering. Since the family is Irish, their grand entrance included a bagpiper in Michigan and the entire bridal party was decked out in kilts and plaid.